Juventus have opened talks with Aaron Ramsey’s entourage as Italian champions look to tie up a January deal for the Arsenal misfit. According to exclusive claims from Italian publication Calciomercato, the Juventus have moved to the front of the queue in the race for the midfielder’s signature. The 27-year-old’s current contract at Emirates Stadium expires at the end of the season, and his future in North London appears to be increasingly unlikely. 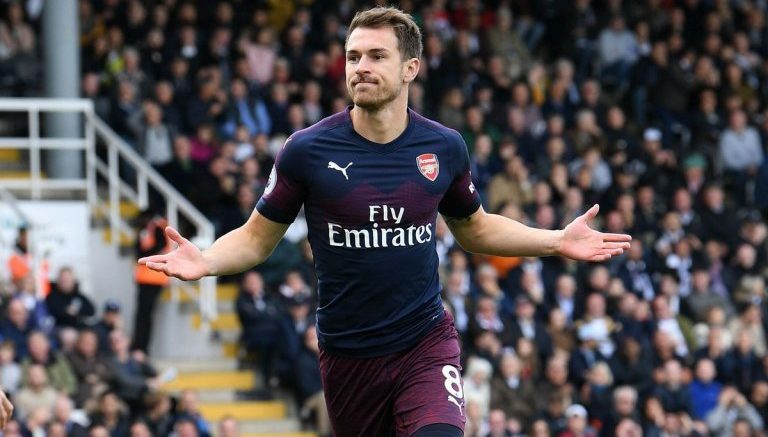 It is claimed by Fabrizio Romano that Serie A giants’ sporting director Fabio Paratici has been in personal contact with the representatives of Aaron Ramsey as he bids to convince him to join the club. The midfielder has been linked with several European teams in recent months, with the likes of AC Milan and Bayern Munich keen on January deals for the player. Be the first to comment on "Medical Booked? Serie A giant holding negotiations with another 27-year-old Arsenal misfit"